We examinedchlL (frxC) gene evolution using several approaches. Sequences from the chloroplast genome of the fernPolystichum acrostichoides and from the cyanobacteriumSynechococcus sp. 7002 were determined and found to be highly conserved. A complete physical map of the fern chloroplast genome and partial maps of other vascular plant taxa show thatchlL is located primarily in the small single copy region as inMarchantia polymorpha. 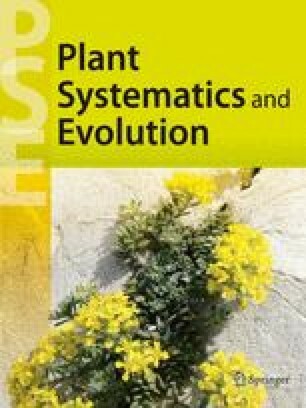 A survey of a wide variety of non-angiospermous vascular plant DNAs shows thatchlL is widely distributed but has been lost in the pteridophytePsilotum and (presumably independently) within the Gnetalean gymnosperms. The namefrxC was originally used to denote a gene encoding a product with probable Fe : S cluster binding activity. This activity was postulated due to the amino acid sequence similarity between this product and the Fe : S-binding nitrogenase iron proteinnifH. Fe : S-binding is a property shared by ferredoxins, which are denoted by the prefix “frx”. However, this gene does not encode a ferredoxin. It is much larger than any known ferredoxin, it binds its Fe : S cluster between two halves of a homodimer (Fujita & al. 1989,Burke & al. 1993 a, c) instead of within a single subunit, and it lacks the pattern of clustered cysteines present in all ferredoxins (Meyer 1988). Therefore, we use the namechlL to recognize the sequence and functional similarities to the bacterial PChlide reductase subunit,bchL. Similar usage has been adopted for this (Suzuki & Bauer 1992) and other (Choquet & al. 1992,Burke & al. 1993b) PChlide reductase subunits.